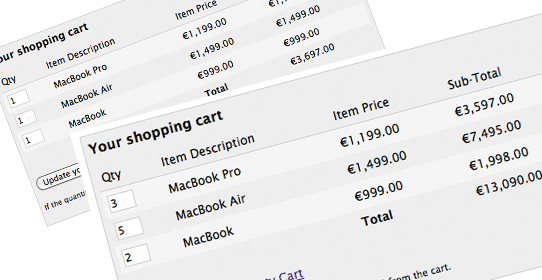 In this tutorial we are going to create an AJAX-driven shopping cart. All the products are going to be stored in a MySQL database, with PHP showing and processing the data. jQuery will drive the AJAX-es on the page, and with the help of the simpletip plugin will add to an interactive check out process. So go ahead, download the demo files and start reading. The rise of AJAX over the past several months has taken over the development world and breathed new life into the Web. Although these techniques have been possible for many years now, the maturity of Web standards like XHTML and CSS now make it a viable alternative that will be viewable by all but the oldest browsers. It’s also been possible to accomplish many of the same things using Flex or Flash, but the development cycle with those applications is typically more involved and the overhead often not justified. 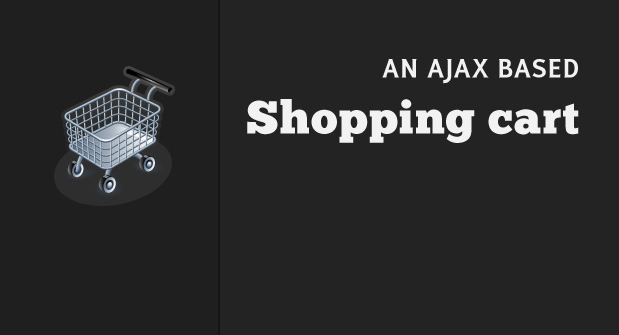 The goal of this tutorial is to show you how to build an AJAX powered shopping cart. However, it will not be production ready. The back end requirements vary from site to site far too much to write an effective tutorial. Instead, we are going to focus on the AJAX parts. The back end code in this tutorial acts as scaffolding for us to build the AJAX functionality, however, it can be built off of to meet your own site’s requirements. In the last section, we’ll discuss some possible next steps to implementing this in your own websites. The final thing to note is that the order codes (or product codes) used in this tutorial are completely arbitrary. 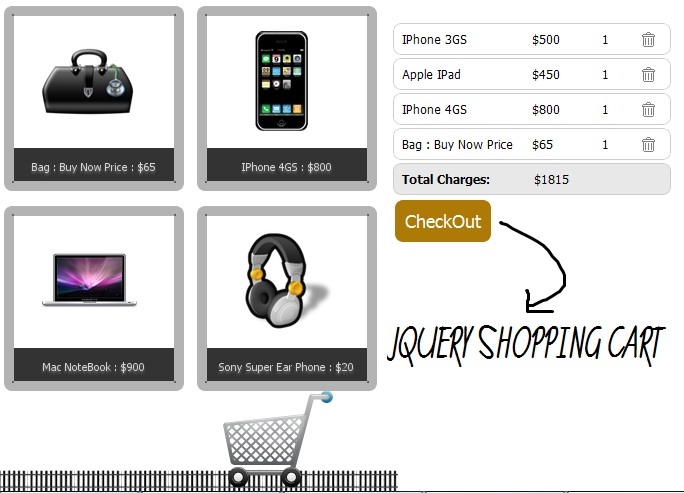 You have seen many Ajax and JQuery based shopping carts examples over internet. I have created here a JQuery based shopping cart which doesn’t call any Ajax request but save all shopping into a form and in the end we just simple submit that form where ever we want to be submitted. 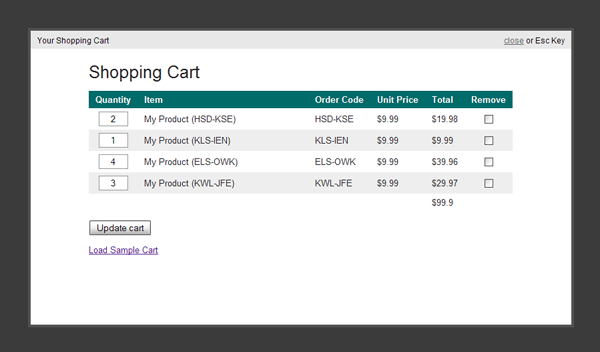 I used jQuery and CSS to create this stylish Cart. Hope you will like it. In this tutorial, I am using the latest stable version of CodeIgniter, V1.7.2. This tutorial requires you to have some modest knowledge of CodeIgniter and the MVC pattern. The following tutorials will get you started right away!